KHARTOUM – At least 800 protesters have been arrested in the on-going protests held across Sudan since 19 December, a senior government minister has said. Osman told legislators that a total of 381 protests have been reported since December 19. He said that 118 buildings were destroyed in the protests, including 18 that belonged to police, while 194 vehicles were set on fire including 15 that belonged to International Organizations. Several buildings and offices of Bashir’s ruling National Congress Party (NCP) were also torched in the initial violence. 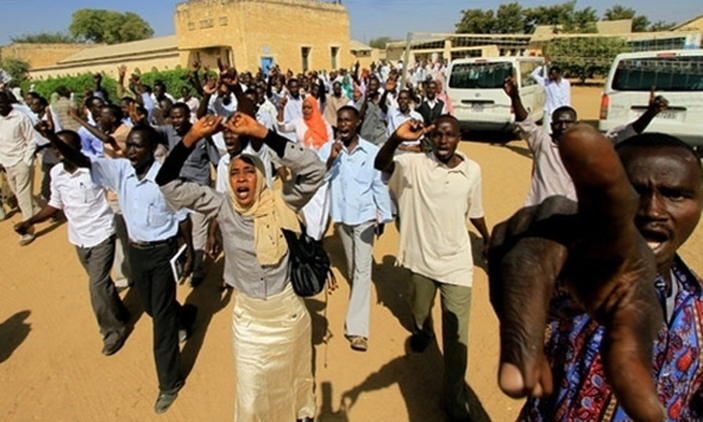 The minister added saying that the situation across Sudan is now “calm and stable”. The mass protests pose a serious challenge to Omar al-Bashir the president, who has ruled the country since 1989. However President Al-Bashir has pledged to address the issues facing the people in the North African nation but that has failed to convince the protesters. Authorities in the country say at least 19 people, including two security personnel, have been killed in clashes during the protests, but Amnesty International has said the death toll is at 37.